With the size in the range of 5 to 50 pounds, Kingfish is one of the most popular catches in Miami. You can either hire a Kingfish fishing charter in Miami or try catching this species on your own. If you choose the former, our professionals will ensure you have a good catch, and if you prefer the latter, the following tips and techniques are going to help you get success. It is difficult for kingfish to slice a fine wire, which is why you don’t need the heavy one. Due to wider gaps between their teeth, the mackerels are able to shred more easily than slice the wires. You might have already heard that kingfish (or Mackerel) prefers hunting in dirty water. The chances of catching one in the depths of around 90’-120’ inches increase due to this fact. If you are expecting a big one, give an attempt near drop-offs, reefs, wrecks, and other structures. Go for live trolling baits like White mullet and Blue runner, as they tend to remain on the hook by resisting the force of water. You can also try stationary live baits or frozen baits like squid and ballyhoo. It is common for mackerel to first injure its prey before eating it. You can use this knowledge for your benefit by deploying a stinger hook. It is a ‘J’ or circle on the fish’s front end. On the back end, it a trailing treble hook. A stinger, as the name suggests, will sting a big king. For more updates on fishing, keep checking this space. 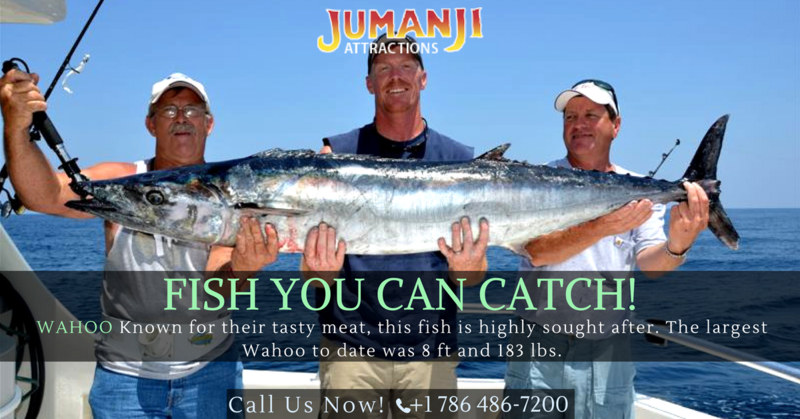 And for kingfish fishing in Miami, connect with our professionals. We offer both private and shared charters at prices you can easily afford.